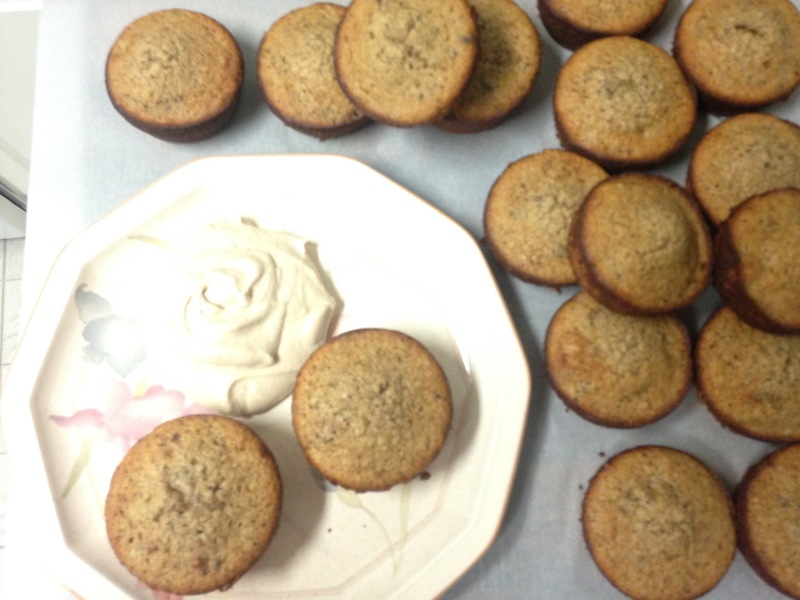 Coffee pecan financiers made in a muffin pan, since it’s apparently difficult to find a financier pan. Decently easy to make. Uses a lot of eggs. They’re quite fluffy. Though they did remind me of muffins, but I’m wondering if that’s because of the shape. Lovely little things. The picture below is with coffee pecan whipped cream. Three shots of espresso and it’s basically the whipped cream version of a latte. The stuff is like crack it’s so addicting. 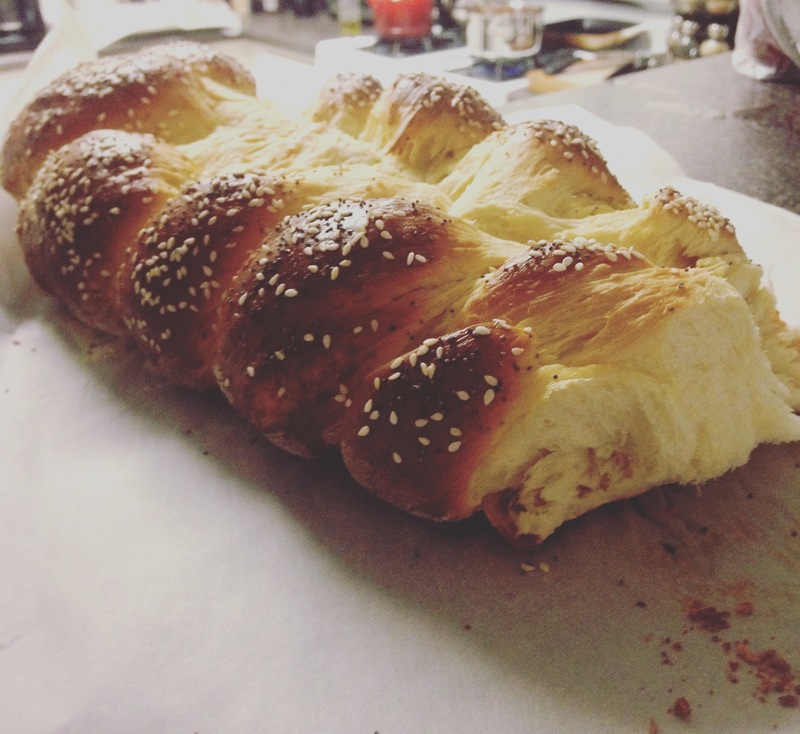 Recipe #1 from the new book: challah. I don’t make a lot of bread. Well, this might be my third time ever, so in that respect this was pretty damn good. It spread a little too much in the middle. Probably because I didn’t braid it right enough. So I’ve been struggling lately with career goals. Like long term and short term career goals. I’m sure everyone struggles with this to some degree. The usual where is my life headed, what do I need to do next. The question is that is anyone ever happy in the place they are, or are we always trying to accomplish something else, something more. Buddhism suggests we should be happy in the moment, but does having aspirations mean you’re currently unhappy where you are? I don’t think so. I’m happy with my current job. I like the work. It’s a lot of work, but I like it. I like the office and the people that I work with. I’m not in a hurry to leave or find something new. On the other hand, I know that this is just a job. I was hoping I could somehow turn it into a career, and it is a career job. Many people use this as a career job. It’s just not for me in the long run. There are other things that I love more. I’ve been deliberating on cultural anthropology, linguistics, international affairs, international development, economics, international law. My latest plan was to go to law school and become an international lawyer. I love the idea of that. But I’m coming to realize that I like the idea of going to law school, but not so much the idea of actually being a lawyer. I know that probably sounds crazy. The market is flooded with lawyers. It would be hard to get a job, and I’m not so thrilled about taking on any more student debt than I already have. It’s probably a sad occurrence when one of the main determining factors about going back to school is cost, and not whether or not you could actually do it. Anyway, throughout my deliberations about my future next-steps people are almost continuously asking me things like “why don’t you look into catering?”, “why don’t you start a bakery?”, “Why aren’t you taking pastry/cooking lessons?”, “Why are you focusing on law, and not on food?”. But I keep shutting these down. Cooking is a hobby. I’m not bad at it, but I still have a lot of learning to do. I can’t clean an artichoke to save my life. Honestly, I’m not sure why I’m so against having a food/foodie related career, other than I’m not exactly sure what I would be doing and where my focus would be. I think it’s all about ego. There’s some kind of prestige that comes with having a law degree and being a high-powered international lawyer. It’s all about pride, and I’m not sure I could have the same pride about being a baker/chef/blogger/food writer. But maybe that’s not true, and maybe I should start listening to other people who seem to know me better than I sometimes know myself. I’m writing this under the realization that I haven’t studied for the LSAT in over two weeks, and I just got back from Whole Foods with two pounds of veal and have been researching cooking courses in Bordeaux. My passion is food and everything about food. I love the idea of traveling to other places and trying local cuisines and some how bringing those flavors back home. One of my favorite books is My Life in France, because an entire book about French food seems like a good idea. Maybe I should finally just accept that I want to cook, and try to find a way to make that happen as a career in whichever path I choose. Now that I’m coming to terms with it, the next chore is trying to figure out how to proceed. Where do I go from here? How should I start? The future is looking bright and yummy, but I need to figure this thing out.